Chuir na mic léinn leighis ospidéal na dteidí ar siúl in Ollscoil Luimnigh i gcomhair níos mó ná 400 páistí bunscoile. Chuir siad fáilte roimh páistí naíonáin shóisearacha agus a gcuid teidithe i mí an Mhárta. 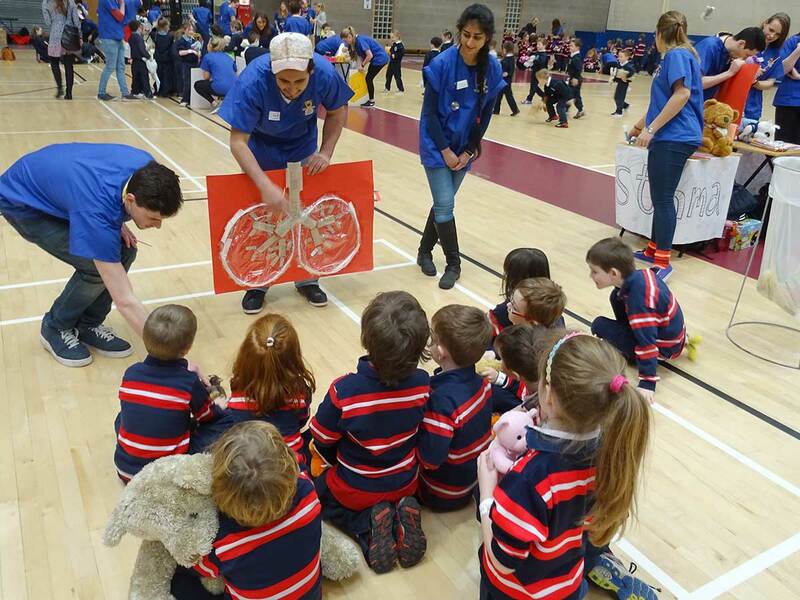 Bhain siad an-taitneamh as an lá agus d’fhoghlaim siad faoi triage, stethoscopes, srl. 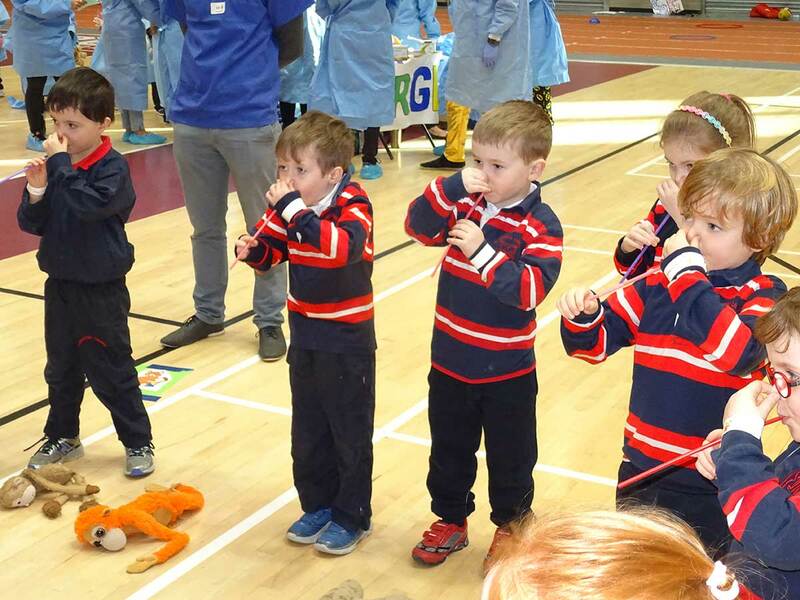 Fuair na páistí taithí luachmhaire ón lá agus tá an Mhodhscoil fíor-bhuíoch do’s na mic léinn. 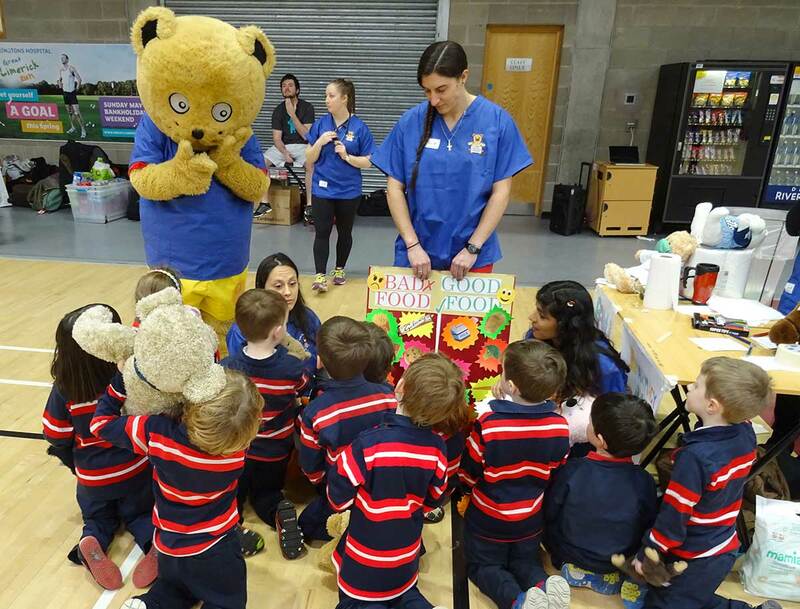 The medical students held a Teddy Bear’s Hospital in UL for more than 400 primary school children. 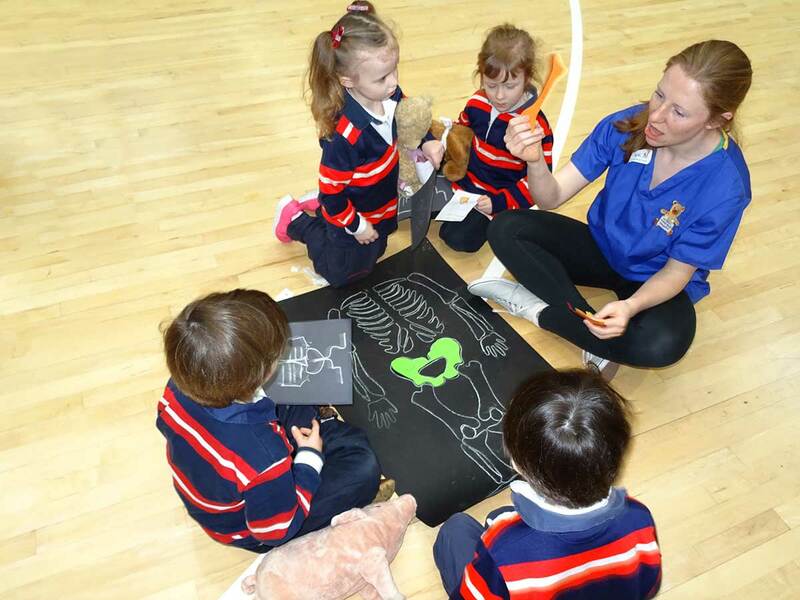 They welcomed junior infant children and their teddies in March. 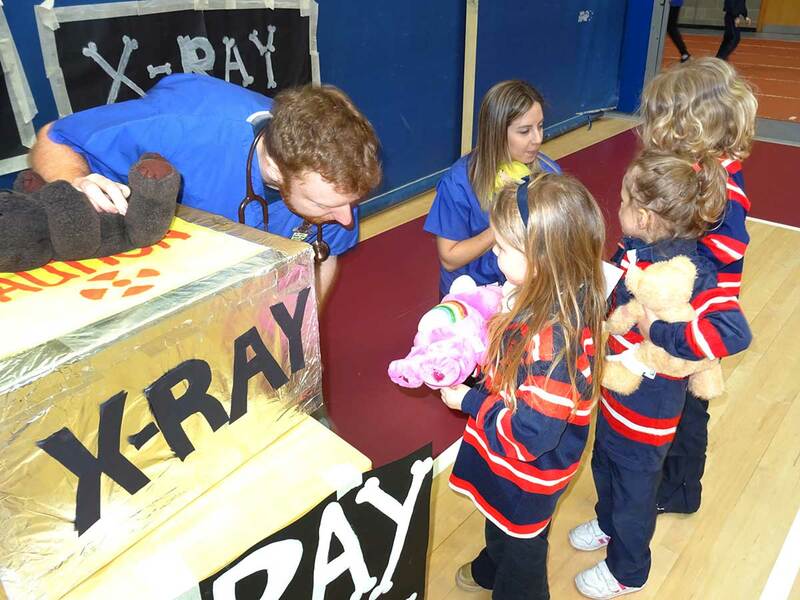 They really enjoyed the experience and learned about triage, stethoscopes etc. 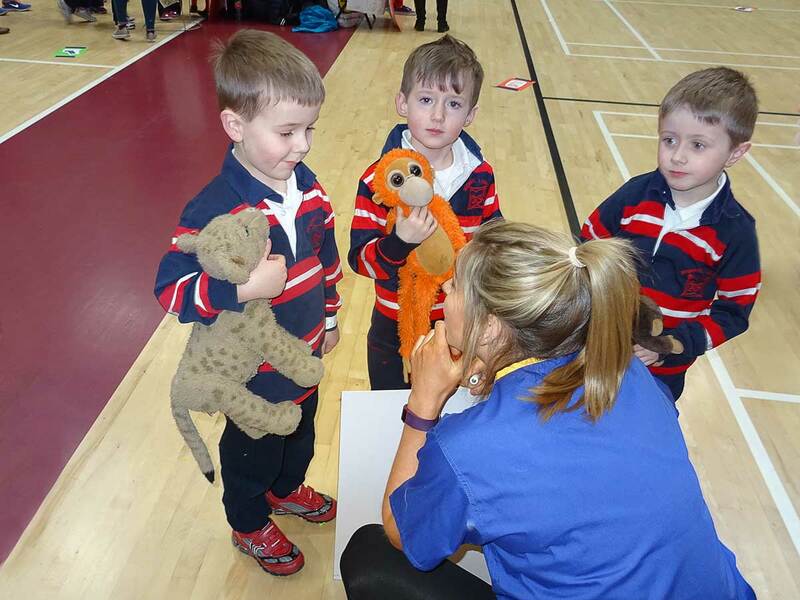 The children gained invaluable experience on the day and the Model School is most grateful to the students.